I'm a member of a group on ebay called the Bead Hive. Each week there is an inspiration picture posted, and the artisans create jewelry or beads based on the photo. This was last week's inspiration picture. 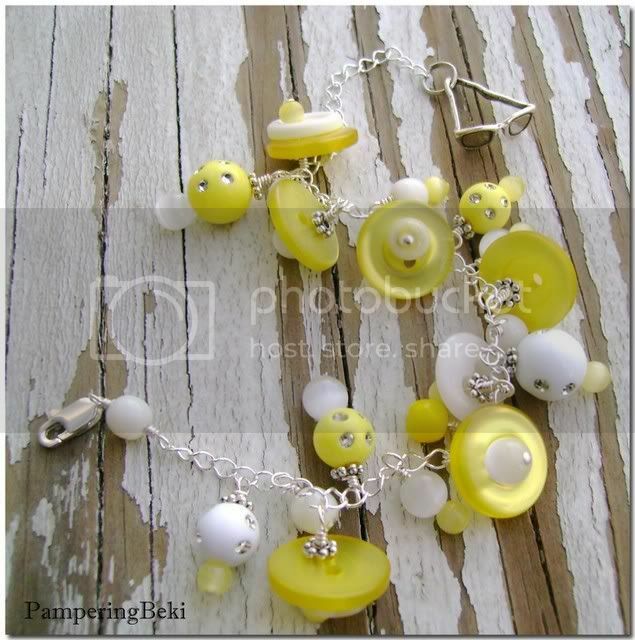 This is what I created based on that... a fringe bracelet called Sunshine that is finished with a sunglasses charm. Isn't it cute? the fringe bracelet is just so cute.... i loved the last week's inspiration picture.... i like your pick of this week... u have a cute artistic sense, i must say....well u can sometimes drop by My Blog and have a glimpse of something u may find interesting...!! !